The Wizards have a long storied history of success and looking good. 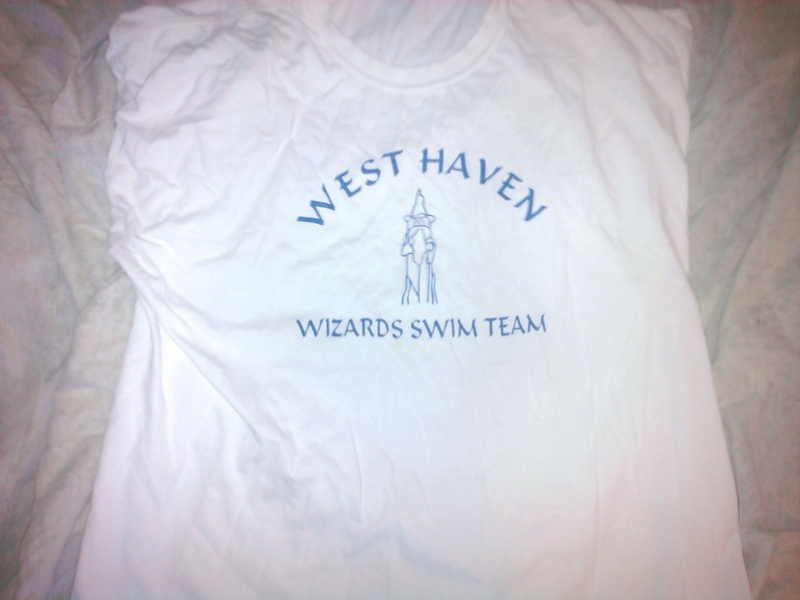 Keeping our swimmers clothed in fashionable duds has been a tradition from the earliest days of the Wizards, and this page is dedicated at preserving some of the items of the past. Enjoy! This banner was a staple of the Pimer Era, and joined the team at parades and meets throughout the 90's. 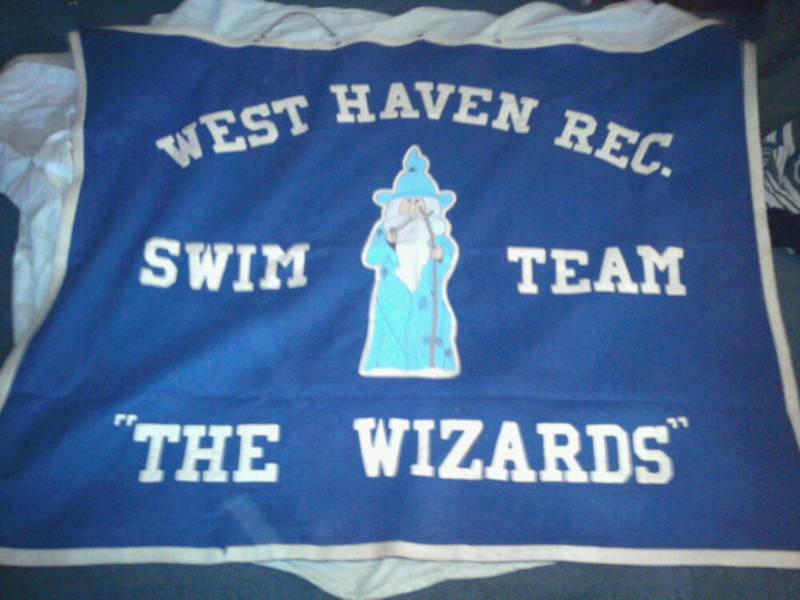 Made of top of the line felt, and featuring the old school Wizard logo, this banner was present at most team functions and served as an award as well. After each meet, the banner was given to the 'Swimmer of the Week' by Coach Bob. 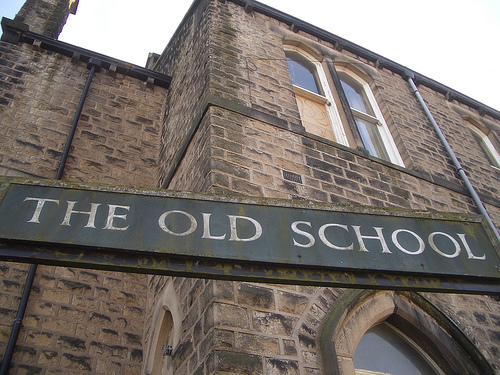 The winning swimmer would then get to display the banner at home for the week, celebrating outstanding achievement. The Banner is now a part of Coach Sean's personal collection at the Wizard Museum in West Haven Connecticut. Simple and elegant, this T was also a prevalent item from the 90's. 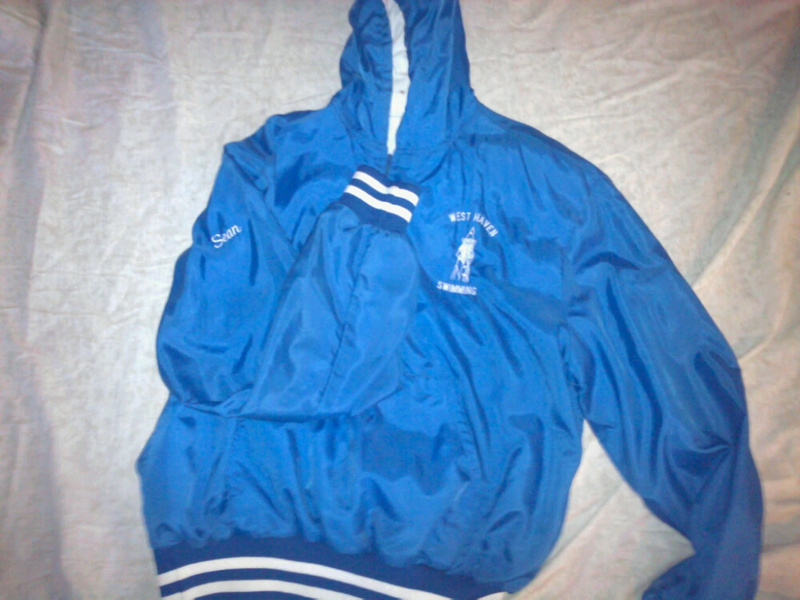 Sporting the old school Wizard, and a simple Blue and White color scheme, this item can still be seen in the stands worn by some of our veteran parents. How about this for style? Blue and white, and rad all over, this one piece pull over jacket let the swimmer show their wizard pride- in stylish cursive! 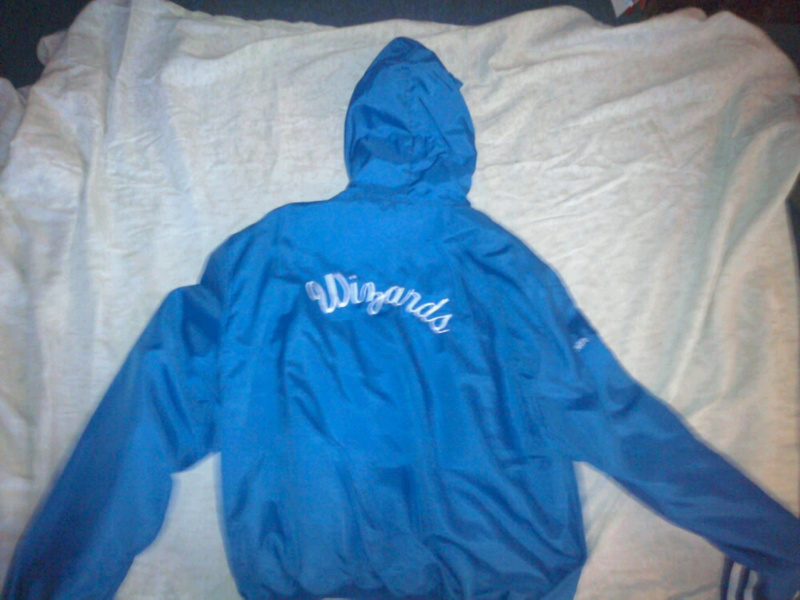 Featuring the old school logo on the front, team name on the back, and swimmer's name on the sleeve, this jacket served as a predecessor for our current jackets and sweatshirts.